thank you Bev, for the amazing tutorial and tag, it looks so pretty! This tutorial has many options, you could for example put your own image in the frame, or the image of a friend and surprise them with a tag - make someone's day! 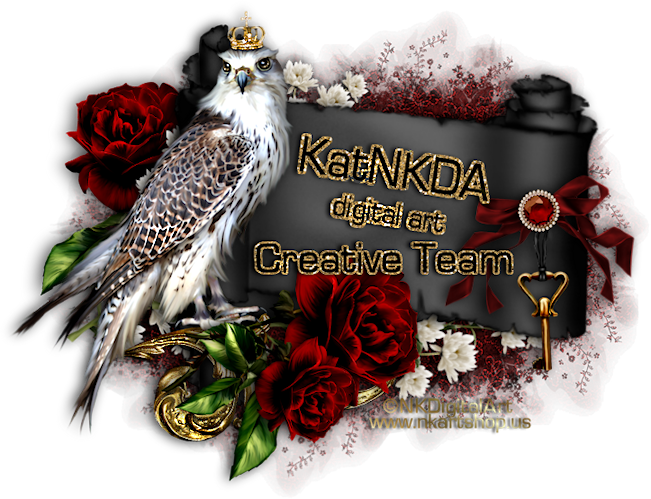 Thanks Bev for the permission to post your result at my blog, and for joining the NKDA Creative Team - welcome aboard, hun, great to have you.